I’d decided to make some blankets to sell at the local craft markets. There isn’t many people selling crochet items here, probably because it’s somewhat tropical. However, the baby blankets i’ve made as gifts have been well received, so I thought I’d give it a go! I used Ice Yarn and my usual corner to corner blanket pattern. 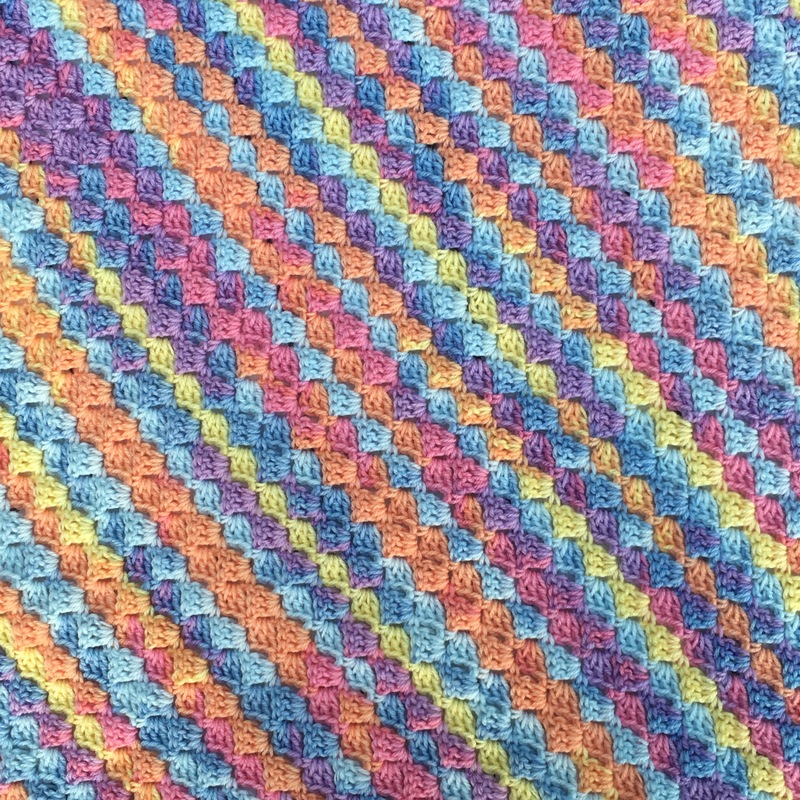 I love the effect the multicoloured yarn gives as well as how soft it is! I’ve got a few more blankets to make before I take my items to the markets, but here’s hoping it takes off and I can do this full time!! Previous PostDoily MadnessNext PostFind me on Facebook! Do you find your edges bow and don’t lay straight when you do corner to corner? Any tips on how to prevent that?